Dade, Jasper, & Barton Counties. With Broadband Wireless Access from KEI Internet, you can experience high-speed wireless broadband that meets your needs for a secure data network allowing you to stay in touch and be more productive. Our Goal at KEI is to provide fast, reliable high speed Internet at affordable prices including on-site installation of service, maintenance of equipment, and dependable technical support at affordable prices for our wireless clients. Depending on location, customers are provided with either an indoor or outdoor antenna. 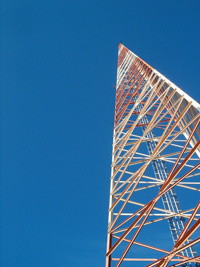 Antennas are easily installed and require an Ethernet connection. There is no equipment to buy, however, if an ethernet card is needed, it must be purchased. We also recommend that our high-speed customers utilize firewall protection. Wireless Networks are increasingly becoming the only solution to getting broadband connectivity in some rural and semi rural areas. ©2006, KEI Internet Service. All Rights Reserved.